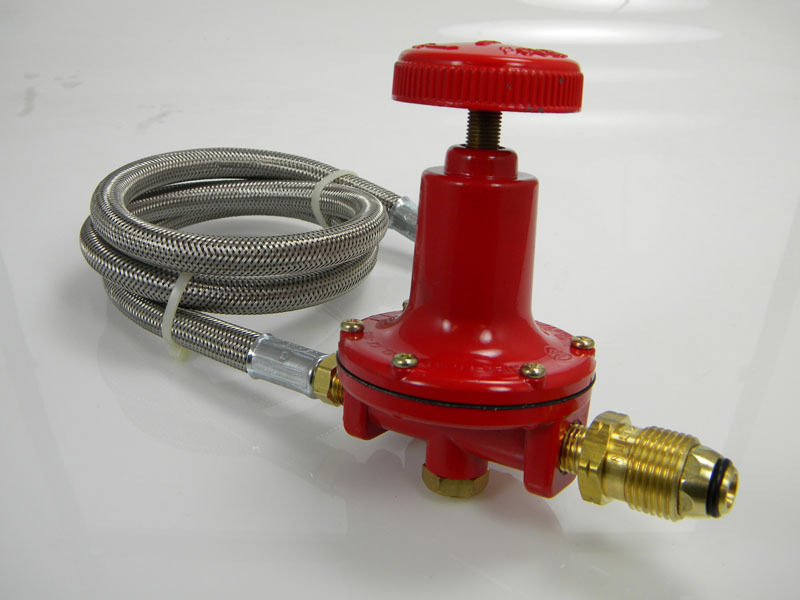 Used for connecting high pressure LP appliances demanding a higher volume of gas and precise regulating control. Typically used on Outdoor Pressure Cookers, Weed Burners, Roofing Torches, & Tar Pot Heaters. Comes with a built in side port to accommodate a pressure gauge and stainless steel overbraid to protect from small animals and rodents chewing through the hose. High Volume 0-30psi Adjustable Gauge Port Regulator with a POL Tank Connection and a ¼” ID Stainless Steel Overbraided Thermo Rubber Hose terminating in a 3/8″ Female Flare. 60″ overall length. 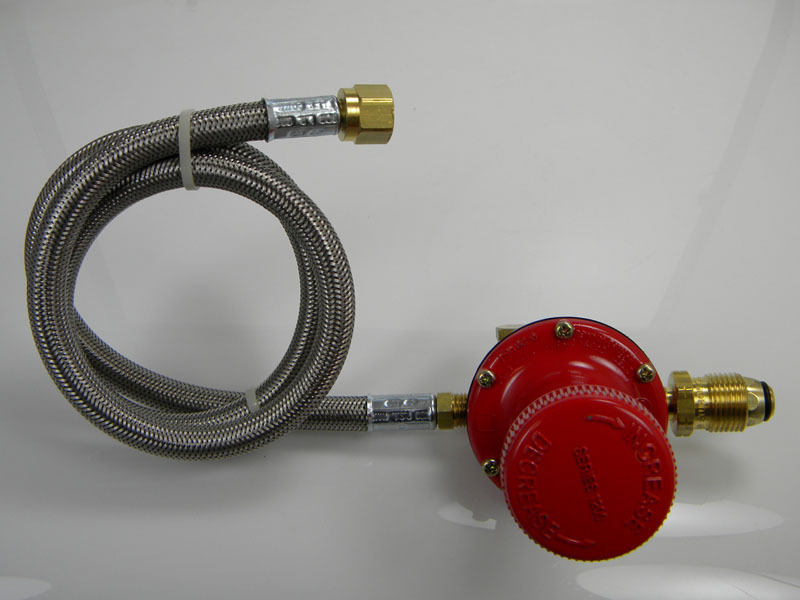 (Hose can be custom made to any length).